It is our hope that every prayer observance across America on the 2019 National Day of Prayer, May 2, will pray together the 2019 National Prayer for America. In fact, we think this would be a tremendous way to close each prayer observance across our nation. There are many ways to facilitate the prayer, but we have provided the video below as a way to make things simple. You can use this video personally or in your gathering, no matter its size, joining with Americans everywhere. You can find a written copy of the prayer here. 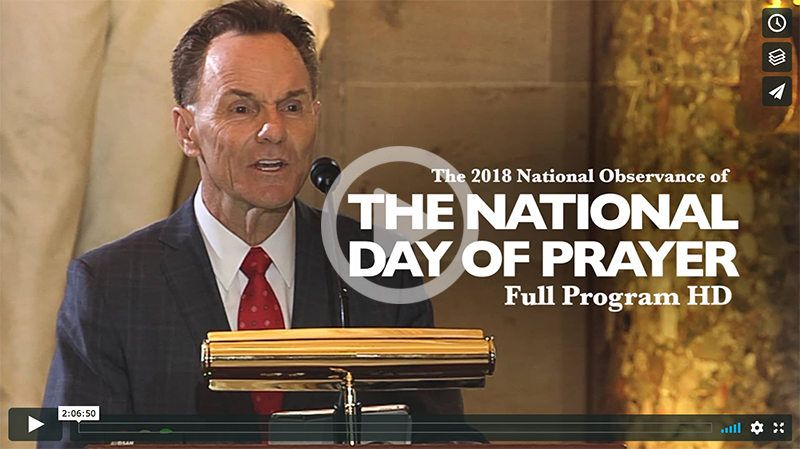 If you missed the National Observance of the National Day of Prayer on May 3, 2018, or would like to see it again, you can watch it here. 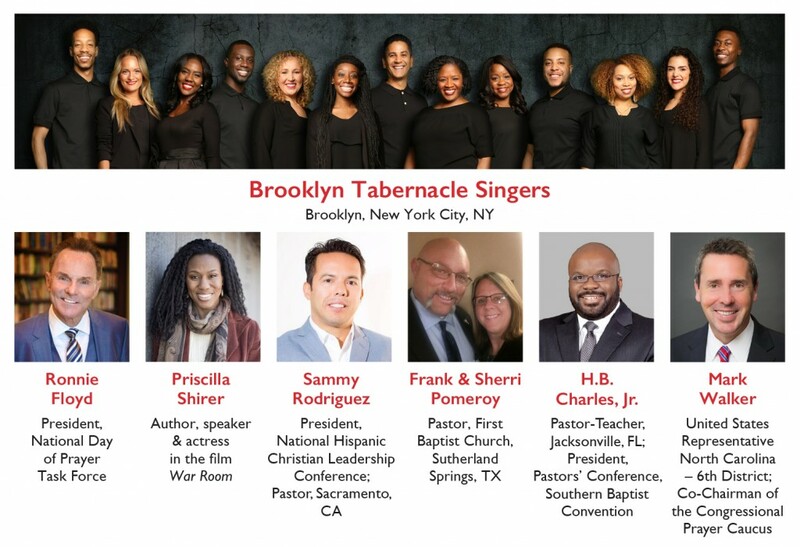 You will hear from the Brooklyn Tabernacle Singers, along with fabulous, biblical challenges from Priscilla Shirer, Sammy Rodriguez, and H. B. Charles Jr., and Congressman Mark Walker. Pastor Frank and Sheri Pomeroy, pastor and wife of First Baptist Church Southerland Springs, Texas, talk about the loss of their daughter and twenty-five other church members in the horrific shooting this past year. This is two hours you do not want to miss. You will witness and can even participate where you are in phenomenal, engaging prayers with some great followers of Jesus from all walks of life. You can learn how to lead large or small groups in a prayer experience by using this gathering as an example. This video is also a tool for you to use in your church by showing some or all of it to your congregation. Share it and encourage others through it.